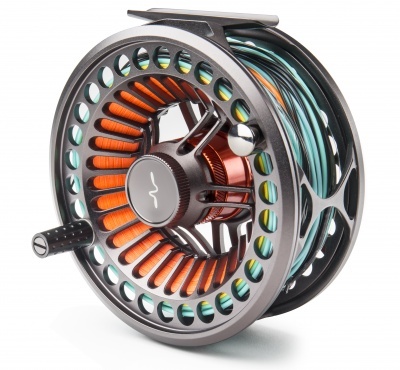 These Are The Strongest And Most Advanced Reels In The Guideline Family. Vosso Combines A Striking Design With A Super Strong And Stable Construction. All Models Come With A Full Frame Housing To Prevent Shooting Line To Get Stuck Between Spool And Housing. The Carbon/Stainless Steel Drag System Is Rock Solid, Totally Unaffected By Outside Conditions Such As Temperature Change, Water, Moisture Or Dirt. The System Is Controlled By A Comfortable And Slightly Recessed, Large Drag Knob With A Large Field Of Adjustment For Perfect Fine Tuning Of The Drag, Eliminating The Risk Of Over-Adjusting In The Heat Of Battle. A Recessed Reel Foot Mounted On A Super Strong Truss-Bar Construction Brings The Reel Close To The Rod For Reduced Torque And Better Balance. 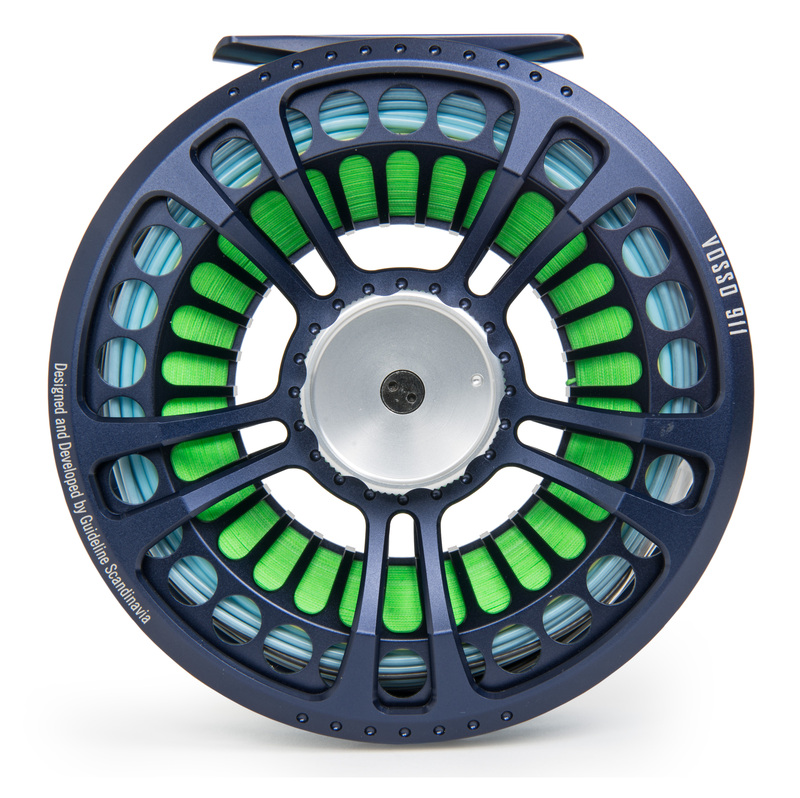 These Reels Have Been Manufactured And Designed For The Most Demanding Usage; Fishing For Salmon, Trophy Trout, Sea Trout, Steelhead And Tropical Species. The Line And Backing Capacity Is Very Generous, And The Reel Is Light Weight And Extremely Strong. #68 Model Suits Single Hand Rods And Lighter Switch In #7 #8. #79 Is The Natural Choice For Single- And Switch Rods In #7 To #9 And Double Hand In #8/9. #1113 Have Capacity For The Most Demanding Tropical Fishing After Tarpon And Gt And Is The Reel For Double Handers In 15-16Ft, Line Weight #10/11 And #11/12. Recessed Reel Foot For Optimal Balance. Tippet Holder On The Reel Underside That Keeps Loose Ends From Tangling During Transport. Waterproof Drag System With Strong Breaking Power. Large Arbour For Rapid Retrieve. Hard Anodizing For A Long Life With Salt Water Use. Cnd Machined Of T6061 Aluminum Barstock. Matte Darkazur Reel Withblue Brake Cylinder.